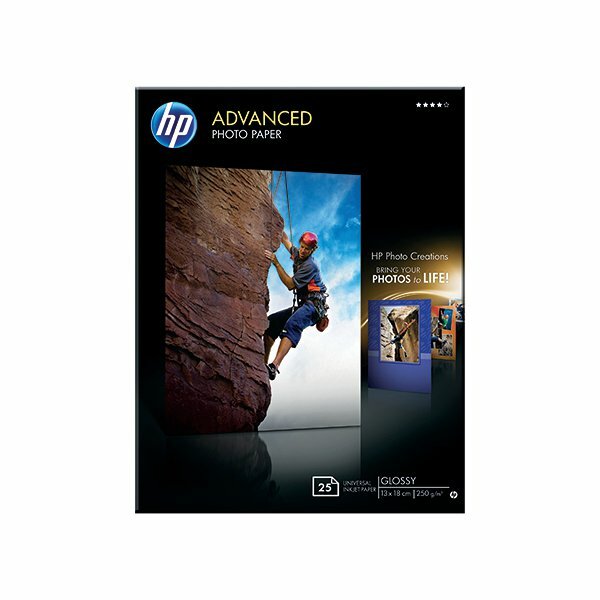 Premium 250gsm HP Advanced Photo Paper provides a look and feel with the same quality as lab-processed photos. It's a great way to reproduce your best memories for display in frames or photo albums. The glossy finish brings out vivid colours for extra impact. The material helps fix ink for resistance to water and smudges, so you can handle your photos straight from the printer.